Good bye faction chat, forever closed for me now. ye the "new" chat fuction dont work at all, bots are level 4-6 that spam us. i was really looking forward to adding faction chat window again and i just looked for 10sec and it was chaos. 50 on block list GG thats just invites em to make more bots. I really cant deal with this shiit anymore. Cant whose saying or selling what in chat, cant block anymore and I refuse to pay so I can block. I'm out of this game until they can find a solution. This is the main issue that's keeping me from spending a dime on this game. Why should I pay for a bot infestation and a bunch of kids who are obviously buying gold and having quite of an advantage. Back to the drawing board for NC. Uh... are you aware that the block list is 50 spaces only? 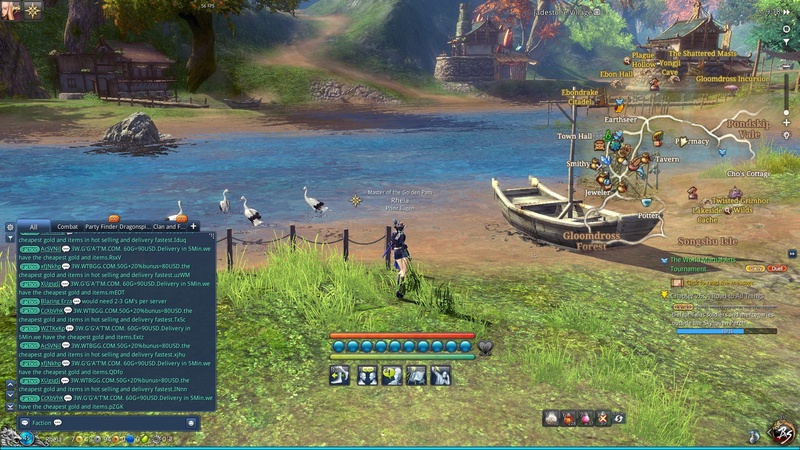 So this level 10 chat restriction has done nothing, still same number of bots in chats spamming away, GG NCsoft GG. 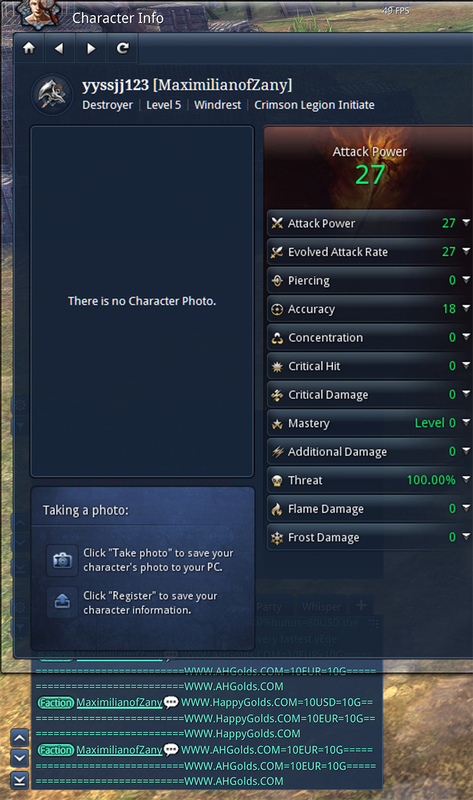 Whats next NCsoft, maybe ask a game publisher that has more knowledge than you? How can a company so big and powerful act so retarded, I don't get it. the fight vs bots is all about time as they gain 0 from none of us going to their sites to be scammed (or so i hope none is so stupid to go look), in time most will stop making bots for this game and go to black desert online instead to try scam there, but NCsoft could do more to stop em as they fill up server space and make ppl not wanna play their game its bad for their own pockets. Report? Are you even reading other posts? non premium are limited to 50 blocks and premium are limited to 500. You block/report 500 and that's it. Most wont get banned and when they do they will create more accounts. Are you playing to block bots or to enjoy the game? Blocking doesn't seem to work and banning them is not going very well either. The chats are being over run by bots. The best suggestion I have for the community is not to buy their gold. Unfortunately this wont happen either. The only reason why bots exist is because they have a business that is obviously working. I turned off my Chat options on Day 2. Which is really sad, because I am sure I am missing some good chat... if you can read it before it scrolls due to spammers. And you are right about the toxicity of the chat. There was a post yesterday about having volunteers police the community. The volunteers wouldn't have access to Kick people or Ban them... but could Mute them. That would be great for combating Spammers, or the 12 year old Keyboard Commando's that think it's cool to cuss in game. NC Soft really needs to put in place an AUTO Mute once you are reported as Spam by say, IDK 50 players ??? 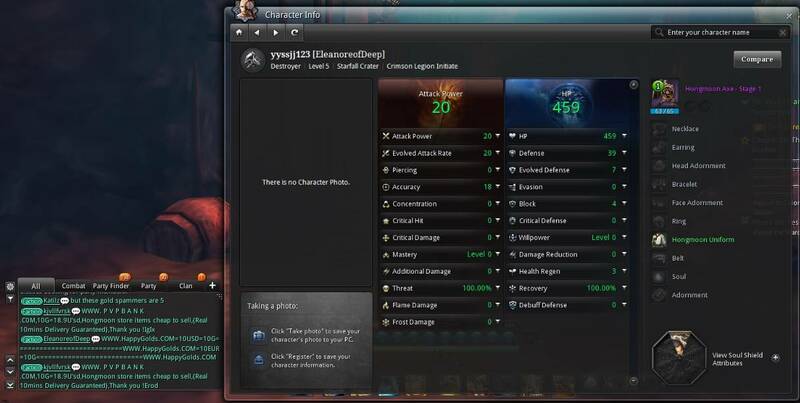 Temp Mute the account from anything but whispers or guild chat, till a GM can review it. Enough said, easy enough to put in place, many games have done such a measure to deal with Gold Sellers.